Avocent® solutions for data center management offer innovative data center design, centralized infrastructure, and network monitoring and management tools. 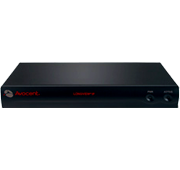 Consolidate access at the desk, at the rack or across the entire data center with Avocent® field-proven line of KVM over IP switches. Avocent® solutions has been at the forefront of KVM development from the start, saving space and improving staff efficiency in leading companies across the globe. 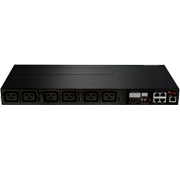 These analog KVM switches enable you to use a single keyboard, monitor and mouse to seamlessly access multiple PCs, without the expense and waste of valuable desktop real estate. Consolidate access at the desk, at the rack or across the entire data center with Avocent’s field-proven line of analog and digital keyboard, video, and mouse (KVM) appliances. Avocent’s management software enables planning, access, control and reporting of your data center assets, dar or night without regard to hardware type, operating system, or network status. With features like high efficiency switch mode, advanced control, and reliable power supply, finding the best fit will be a snap. A comprehensive data center infrastructure resource management system, including the Trellis™ system. Safeguarding facilities from operational discontinuity in the event of an electrical supply interruption, options like the ASCO automatic transfer switches, non-automatic transfer switches, paralleling switchgear and other emergency power control products for on-site management of alternate power sources could be just what the IT environment needs.